We all have moments when it’s too cold to go out, and yet the bellowing rumble coming from the pit of your stomach tells you to eat something. I like keeping a repertoire of mindlessly simple dishes taped to my refrigerator door for just such an occasion. At the top of that list is this ginger chicken. It’s simple, the ingredients are usually in my fridge, and it tastes like a lot more work went into it. 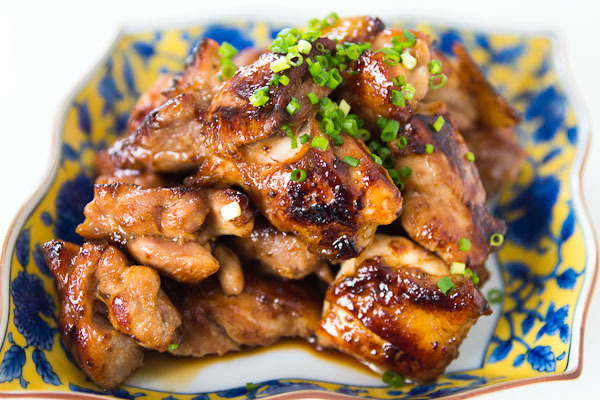 The honey and soy sauce caramelize while pan-frying the chicken, making for a smoky glaze that strikes a good balance between savory and sweet. 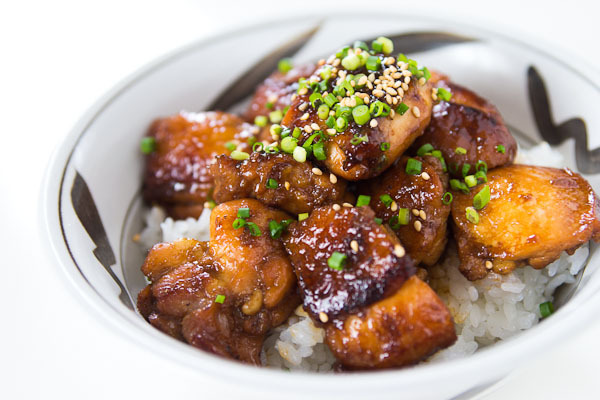 The ginger adds a belly warming kick that sets this apart from chicken teriyaki. 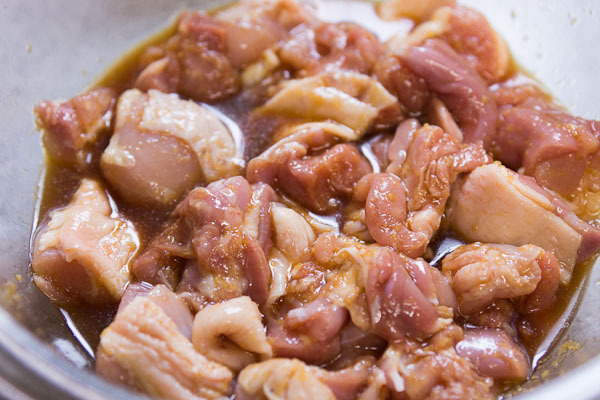 I like serving this ginger chicken over a bowl of rice. 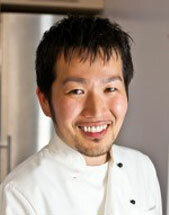 In Japan, rice bowls are known as “donburi” and are the Japanese equivalent to a casserole. Add some steamed veggies and you have a complete one-bowl meal—perfect for lunch or dinner. Another reason why I love this dish is because it makes four servings that are easily stored for future meals. Just fill a Tupperware part of the way with rice, top it with the chicken and sauce, and then seal the lid and refrigerate or freeze it.